Well, Anthony has finally got our blog up and running, and so we can beginÂ chronicling the escapades (good, bad and ugly) of two urban-raised humans trying to get out of their ruts. 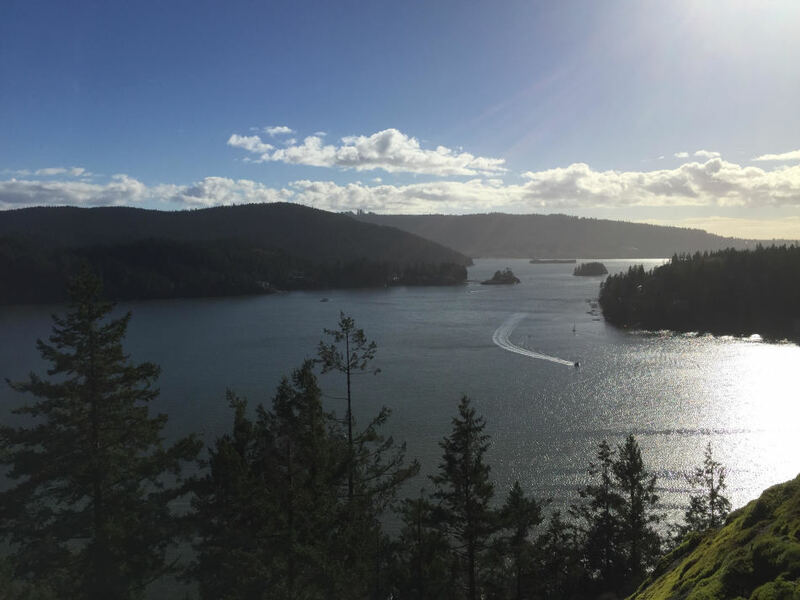 Â As such, it seems appropriate that our inaugural blog post is about something we did for the first time- Quarry Rock. 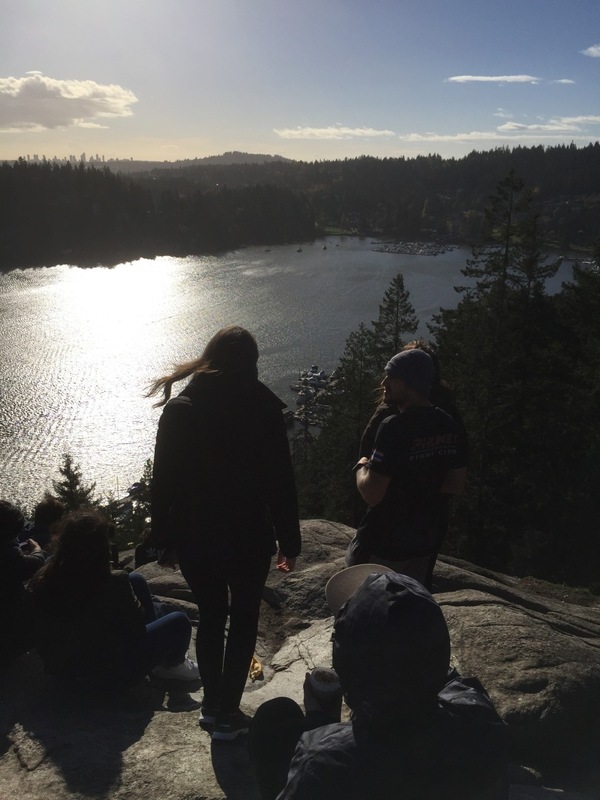 Urbanites Who Stray made their way the Quarry Rock hike for the first time (ever!) at the beginning of November. Â Despite having been born and raised in the Lower Mainland, Amy had never even visited Deep Cove, or hiked to Quarry Rock, or eaten a doughnut from Honey's. Horrible, we know. Â This fact put her status as a Lower Mainlander to shame. Â Anthony's excuse is that he only came to Canada in 2010, and to the Lower Mainland in 2012. 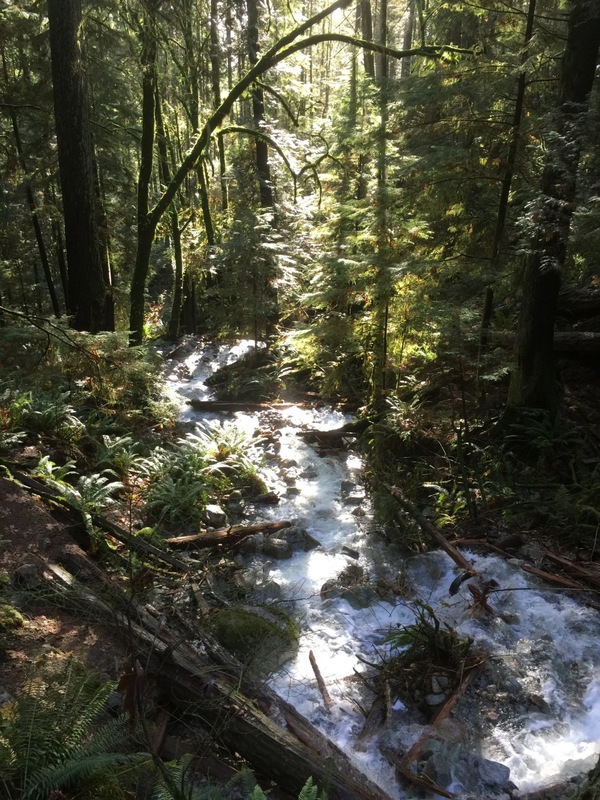 This hike is notoriously overcrowded- and even the day after a rainstorm causing cascades runoff besieging the trail at multiple points, this was certainly true. Â On this day, clots on the trail were mostly caused by people who were wearing shoes that they didn't want to get dirty- they know that trails are located outside, right??? Â Amy's eyes almost got stuck in the back of her head when she rolled them at the 'hiker' in the white canvas sneakers who was trying to tiptoe around the puddles, with 10+ people waiting their turn behind her. Getting muddy shoes is not a problem for us, so we splashed through the puddles and around the crowds to make our way along the well-worn trail, over bridges and down gullies. Â The trail itself doesn't provide wide-sweeping views and pristine skies, but if tree canopies are your comfort zone, then you'll enjoy the hike. Â We're not in the best of shape, but I'd definitely classify most of this trail as 'easy'- well-worn means that thousands of footprints have beaten down the forest floor around the trail so that you have options to the trickier terrain. At the end of the trail is Quarry Rock, the reason for the trail's name. 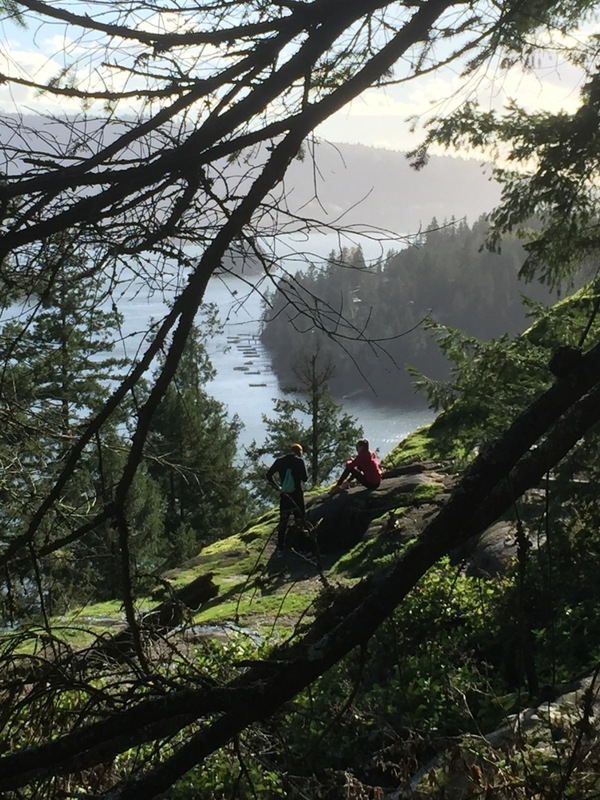 Â And this rock is where you'll find the reason for this hike's popularity- a sweeping panoramic view of what makes the Lower Mainland one of the most beautiful areas in the world. Â We had clear views across Indian Arm to Belcarra (first photo), Jug Island, back towards Burnaby, Deep Cove (photo below) and beyond into the east. Look at all the people looking at the stuff to look at. When hikers leave Quarry Rock, there is a continuation of the trail towards the right, which leads to an area under a power tower. Â It's significantly quieter there, but the view is not as wide-sweeping since the forest frames the north, south and west, and then the power lines run east in just the right angles to be present in any photo you attempt to take of the view. Â However, the lower decibel of human noise was enough incentive for us to decide to take our moment in nature there, rather than at the more popular viewpoint. 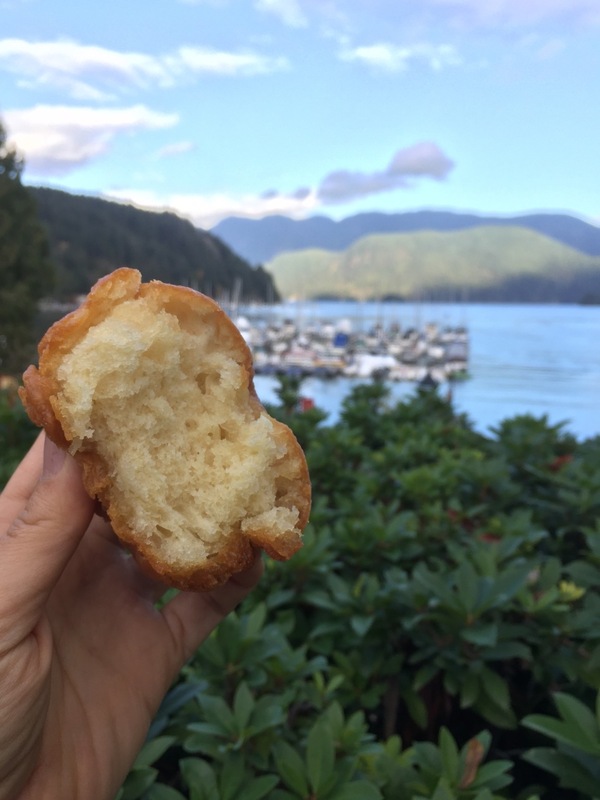 Once we hiked our way back to Deep Cove, the Lower Mainland tradition of a doughnut couldn't be missed! Â (Amy simply wouldn't allow us to miss the opportunity for food!). It's always going to be a wait to get your doughnuts at Honey Doughnuts and Goodies, so get yourself a coffee or sandwich to nosh on while you're waiting. Â You'll enjoy that doughnut more mindfully when you're not ravenously hovering by the counter for your name to be called. Â Amy even managed to wait on her first bite until we walked to a place for an appropriately Instagram-y background. Â This is when Anthony rolled his eyes. Always get a doughnut when you can. White canvas shoes are not good for hiking in. Quarry Rock has a view that is worth the crowds on occassion. If you have any question contact us. Join our community to access exclusive content and gain insights to latest trends.